Cahill to Arsenal close to completion? 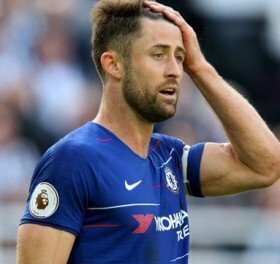 Arsenal are reportedly deemed favourites to secure the signing of Chelsea captain Gary Cahill when the transfer window reopens in a couple of days' time. Preferably, the Gunners would prefer a young player to bolster the heart of the backline but given the complexity of the winter transfer window, Cahill could be an useful addition for the rest of the season. Cahill, who was previously on the Gunners radar eight years ago, has mostly featured for the Blues in the League Cup and Europa League games this term and has yet to make a Premier League start under Sarri.